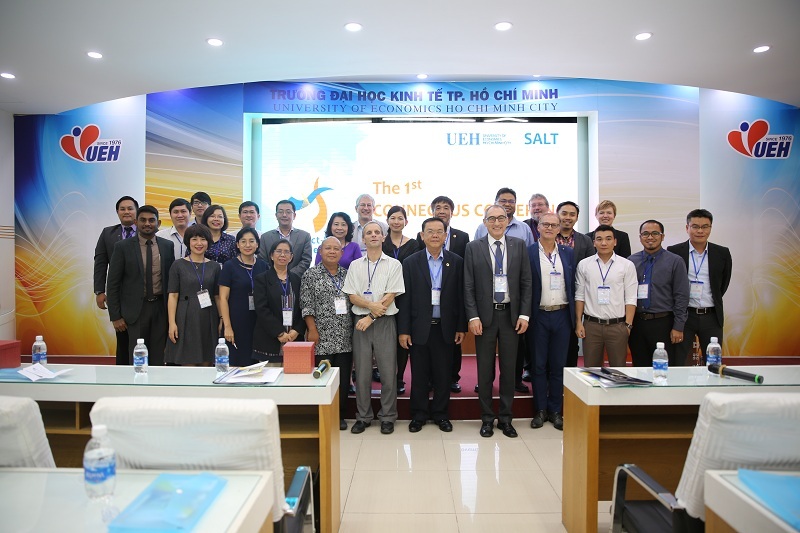 From 29th to 30th November 2017, at Campus 59C Nguyen Dinh Chieu, UEH in cooperation with the Swiss-ASEAN Learning and Teaching (SALT) Association held “The 1st Connect-Us Conference” (CuC) and welcomed more than 30 global experts and researchers. 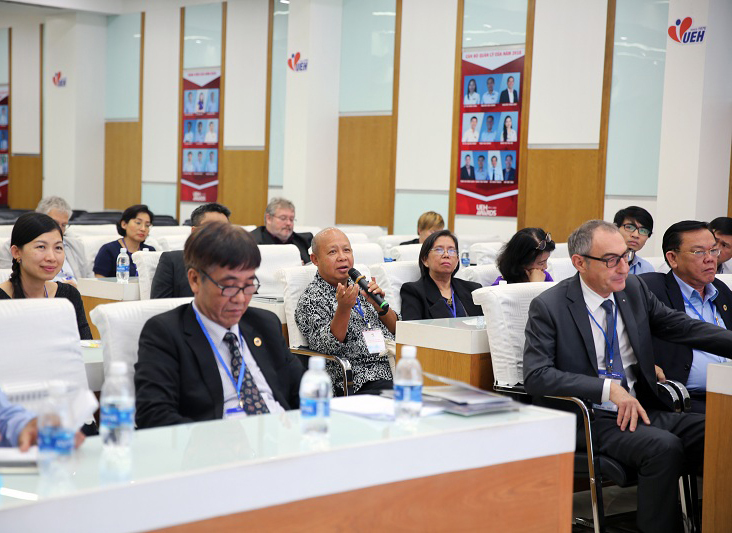 Attending the conference, on the guests’ side were Prof. Rolf Shaeren - Chairman SALT Association; Dr. Teresa L.Freiburghaus - University of Applied Sciences and Arts Northwestern Switzerland (FHNW); Dr. Tita Evasco-Branzuela - San Beda College, Philippines; Dr. Syuhaida Ismail - Universiti Teknologi Malaysia; Assoc. Prof. Yu Ghee Wee - Universiti Malaysia Kelantan; Dr. Andika Putra Pratama - Scientific Institut Teknologi Bandung Indonesia; Assoc. 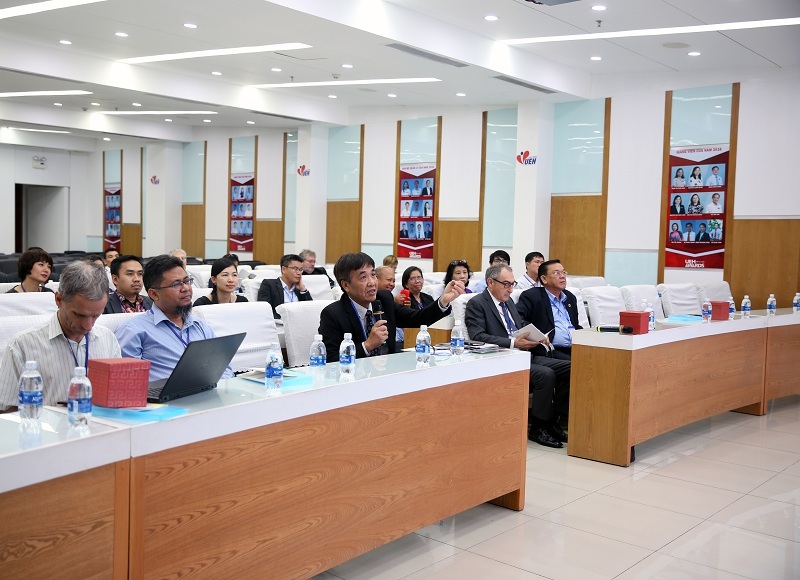 Prof. Nguyen Thu Thuy - Foreign Trade University Vietnam; Prof. Mathias Binswanger - University of Applied Sciences and Arts Northwestern Switzerland (FHNW). 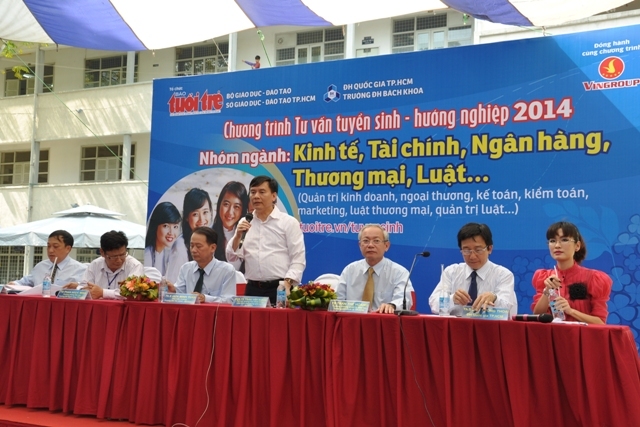 Representing UEH were Prof. Nguyen Dong Phong - President; Prof. Nguyen Trong Hoai - Vice President, Dr. Tran Mai Dong - Head of the Department of Research Administration and International Relations, leaders, professors, associate professors as well as lectures from other universities. Connect-Us Conference (CuC) is an international conference organised by the Swiss–ASEAN Learning and Teaching (SALT), a registered not-for-profit association, which aims to promote the sharing of diverse research works, teaching and learning practices among academics and practitioners worldwide, specifically in the field of sustainable development. CuC aims to gather academics, researchers, scientists, community development practitioners, policy makers, youth groups, and all stakeholders to deliberate on issues and challenges affecting the sustainable development of society. Notably, SALT recognises that societal problems which remain unchecked and unmanaged can weaken, threaten, or even destroy society. It is deemed timely to continuously raise the awareness and involvement of stakeholders, experts and strategists on the importance and urgency of sharing, contributing knowledge in sustaining inclusive development of society. 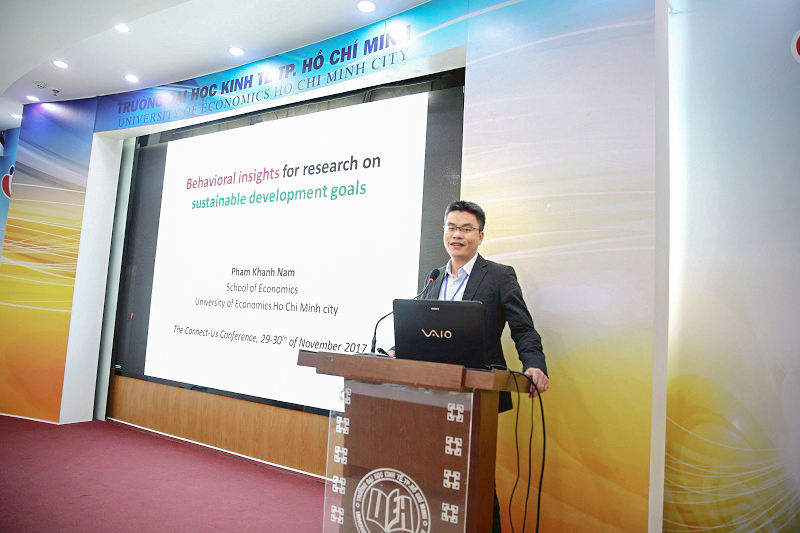 Furthermore, it seeks to document approaches, practices, policies and strategies utilised in various levels and contexts to address and attain the development goals. CuC received about 40 articles coming from Asia and Switzerland. These articles mentioned a range of global issues on social, economic and sustainable development, as well as diverse topics such as finance and accounting, tourism and agricultural development. 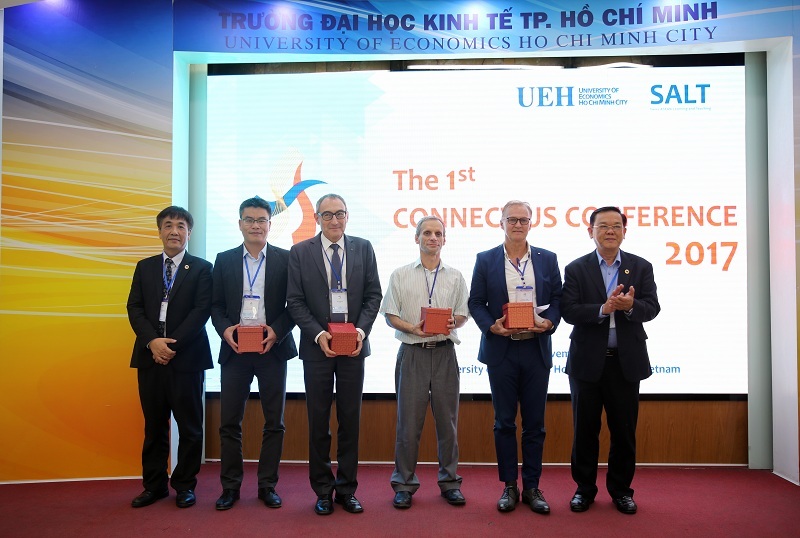 In the conference, there were 12 presentations and three keynote speakers: Prof. Mathias Binswanger – Swiss Economist (FHNW); Dr. Pham Khanh Nam - Vice Dean of the School of Economics at the University of Economics Ho Chi Minh City and Mr. Manfred P. Rist – Southeast Asia Correspondent of Neue Zuercher Zeitung. 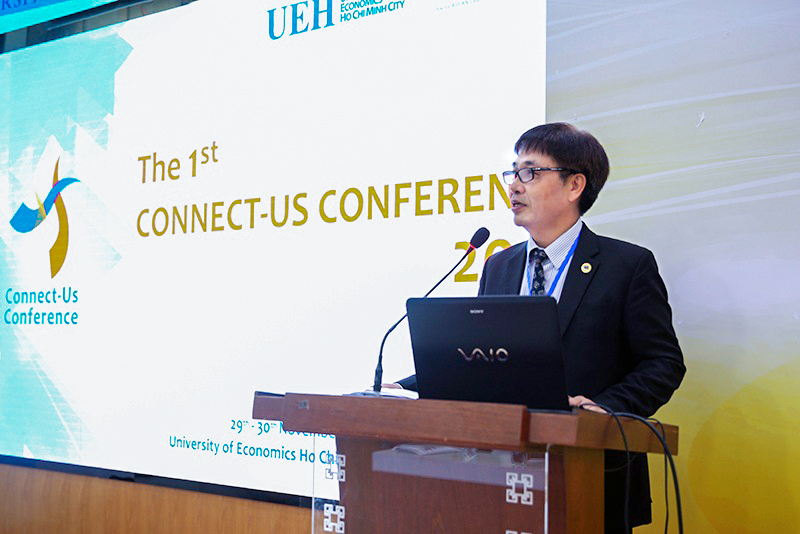 The CuC Conference is a strategic bridge between Europe and ASEAN’s education and marks a milestone of UEH in Oriental-international and Oriental-Academic relations. SALT is a non-governmental and not-for-profit association, which aims to promote the sharing of researching, learning, and teaching knowledge among academics, researchers, and practitioners in Europe and ASEAN, specifically in the field of sustainable development. SALT was established in Olten, Switzerland in May 2016 by eight founding universities:University of Applied Sciences and Arts Northwestern Switzerland (FHNW); Universiti Teknologi Malaysia, Malaysia; Universiti Malaysia Kelantan, Malaysia; San Beda College, Philippines; University of Economics Ho Chi Minh City, Vietnam; Foreign Trade University, Vietnam; Institut Teknologi Bandung, Indonesia; Thaksin University, Thailand. Topic: “Economic Growth, Sustanability and Subjective Well Being: What are the issues?” of Keynote speaker: Prof. Mathias Binswanger, University of Applied Sciences and Arts Northwestern Switzerland.